then you can print it out, share with your friends etc. 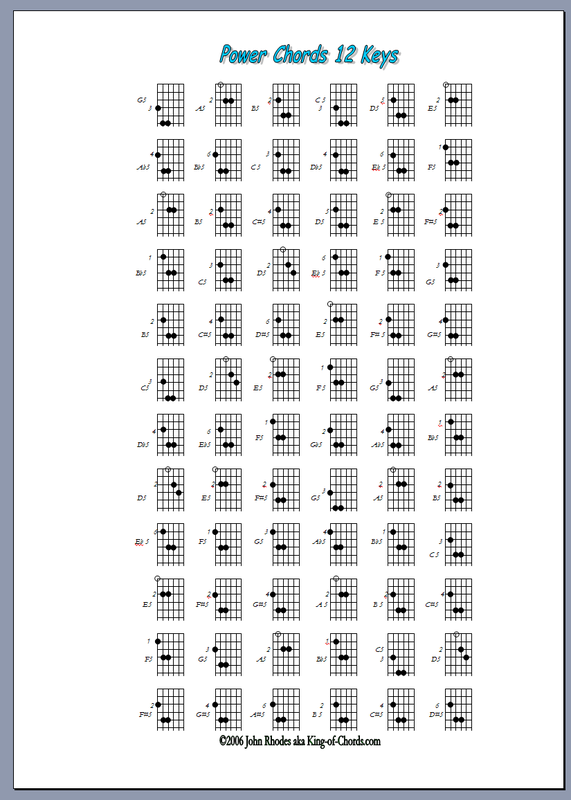 the chart shows every powerchord in each key. what? chords sound SAFE when you group them with their friends. YOU feel SAFE with your friends right? follow G5 with chords chosen horizontally, they feel safe, sound safe, your mates go cooooool man! Good luck………………… you’re on your way…………………………. could be major or minor, but really are, niether. King of Chords eZine !